Below you fill find all funeral homes and cemeteries in or near Bridgton. Popular neighborhoods in Bridgton include: Bridgton (CDP). Zip codes in the city: 04009. Some of the notable people born here have been: (george d. libby), (john ripley freeman), (jim mains), (robert g. carter), and (henry b. cleaves). Bridgton is a town in Cumberland County, Maine, United States. The population was 5,210 at the 2010 census. 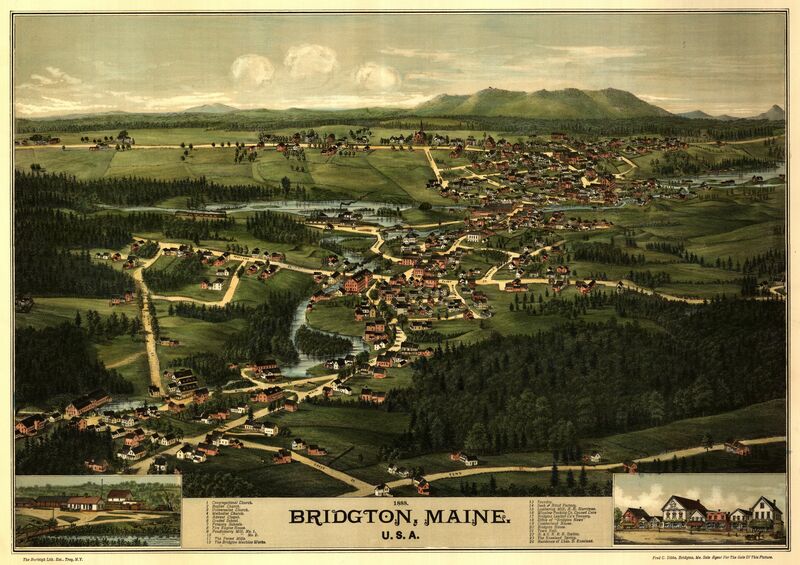 A resort area in Maine's Lakes Region, Bridgton is home to Bridgton Academy, a private preparatory school, and the Four on the Fourth Road Race.Bridgton is part of the Portland–South Portland–Biddeford, Maine metropolitan statistical area. It was noted on October 31st, 2018 that T Anne "Anne" Marvel perished in Bridgton, Maine. Marvel was 87 years old and was born in Beverly, MA. Send flowers to express your sympathy and honor T Anne "Anne"'s life. It was disclosed on October 17th, 2017 that Charles A Jr "Buzzy" Mazza died in Bridgton, Maine. Mazza was 83 years old and was born in Lynn, MA. Send flowers to express your sympathy and honor Charles A Jr "Buzzy"'s life. It was reported on February 25th, 2016 that Marie Rita Austin (Savoie) passed on in Bridgton, Maine. Ms. Austin was 97 years old and was born in Providence, RI. Send flowers to share your condolences and honor Marie Rita's life. It was written on November 13th, 2015 that Charles R "Charlie" Loverin passed away in Bridgton, Maine. Loverin was 82 years old and was born in Brockton, MA. Send flowers to express your sympathy and honor Charles R "Charlie"'s life. It was reported by Albany Democrat-Herald on May 21st, 2014 that Muriel Alice "Midge" Randall (Field) passed away in Oregon. Ms. Randall was 95 years old and was born in Bridgton, ME. Send flowers to share your condolences and honor Muriel Alice "Midge"'s life. It was revealed by New Bern Sun Journal on July 19th, 2012 that Betty C Peek perished in New Bern, North Carolina. Peek was 88 years old and was born in Bridgton, ME. Send flowers to express your sorrow and honor Betty C's life. It was written by The Times Record on January 20th, 2012 that Mary A Champagne (Boutin) passed on in Bridgton, Maine. Ms. Champagne was 97 years old and was born in St Honore QC, . Send flowers to express your sorrow and honor Mary A's life. Bridgton is a New England town in Cumberland County, Maine County, Maine, United States. A resort area in the Lakes Region, Bridgton is home to Bridgton Academy, a private University-preparatory school school, and the Four on the Fourth Road Race. Bridgton is part of the Portland, Maine Portland, Maine Portland–Biddeford, Maine Maine Portland-South Portland-Biddeford metropolitan area Statistical Area. The population was 4,883 at the 2000 United States Census census. . The official website for the city of Bridgton is http://bridgtonmaine.org/. Listing all funeral homes in Bridgton, Maine so you can easily send flowers to any location (same day delivery) or find any funeral service. Funeral Homes found in the State of Maine. Directory of Funeral Homes in Bridgton, Maine. Find websites related to Funeral Homes in Bridgton, Maine. We work with local florists and flower shops to offer same day delivery. You will find budget sympathy flowers in Bridgton here. Our funeral flowers are cheap in price but not in value.